Riding on our experience in the industry, we, as a Supplier, Exporter and Importer of Endo Spring Balancer have positioned us in the upper echelons of the industry. The various grades and standards of quality are met by our quality team. 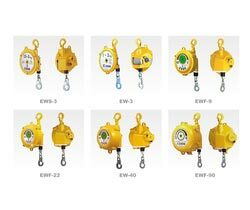 Having an ergonomic design, the spring balancer is convenient for suspending an electric driver. The balancer is offered for our respected customers at cheap rates. Accurate works and stable tool position.